Recysite project kick of meeting has just been celebrated yesterday, July 7th, in Aitiip Technology Centre headquarters (Zaragoza, Spain). The objective of this project is to produce fully recyclable and reusable green composites based on bioresins and natural fibres. This Life project, coordinated by CENTEXBEL (the Belgian scientific and technical centre for the textile industry) will gather seven partners from four European different countries, in a project with a 2 million euros budget during 36 months of collaborative work. CENTEXBEL (BE) – General project management and financial administration. Support to LA ZELOISSE in adaptation of natural fibre to novel formulations. Consolidate a circular economy with stakeholders. LAZELOISE (BE) – Production of natural fibres from agricultural waste. Pilot plant optimization. Industrialisation plan. AVANTIUM (NL)– Production of natural resins from renewable resources. Pilot plant adaptation. Industrialisation plan. CNRS (FR) – In collaboration with AVANTIUM for resins characterization, optimization of thermo-mechanical performances, industrialization and regional awareness. Transferability and replicability of the results. Dissemination. CIDETEC (ES) – Adaptation of recyclable composition, use of hardener adapted to biocomposites formulations. 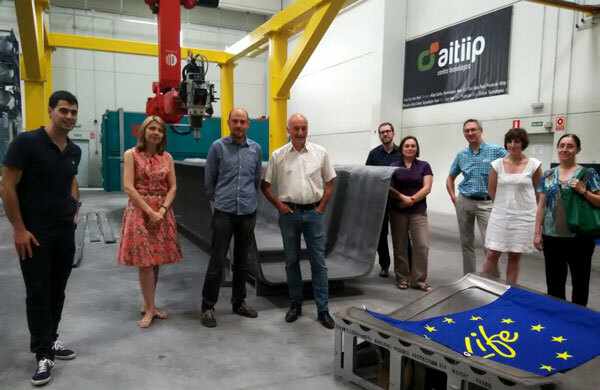 AITIIP (ES) – Technical supervision. Dissemination and Communication planning. Adaptation and optimization of processing technologies (LRI and RTM). Manufacturing of samples for stakeholder validation. SISPRA (ES) – Validation of proposed solution. Manufacturing of proposed demonstrators. Definition of business case in collaboration with stakeholders. ← We are on the social networks!